The Transformation Alliance is charged with the duty to communicate to parents about quality school choices and shared data about those choices with the community. The work is supported by the Community Engagement Team members who work within their communities to share materials, messaging, and assistance when it comes to understanding education in Cleveland. School Quality Ambassador program is a team of dedicated grassroots leaders who connect with Cleveland’s neighborhoods and families to provide guidance and information about public school options. Ambassadors distribute school choice resources, including the annual School Quality Guide, through in-person visits, small group meetings and public events. As experts in schools and school systems in Cleveland, they connect families to Transformation Alliance resources. The outreach of our Ambassadors and partner organizations is instrumental in creating a culture of high expectations, where the choice to attend a quality public school is accessible to every student and family in Cleveland. To learn more about the School Quality Ambassador program, or to request their presence at your local event, contact Catherine Smith. Anju has over 10 years of experience as a direct community engagement provider. She believes that everyone should be afforded the opportunity to a superior quality of life. Anju finds satisfaction in helping individuals achieve better health and self-sufficiency by educating and connecting them to valuable resources and programs. She is active in the community as a Community Ambassador through Cuyahoga County’s HIP-C Healthy Eating Active Living (HEAL) Initiative, and a Class 26 NLI alumni. 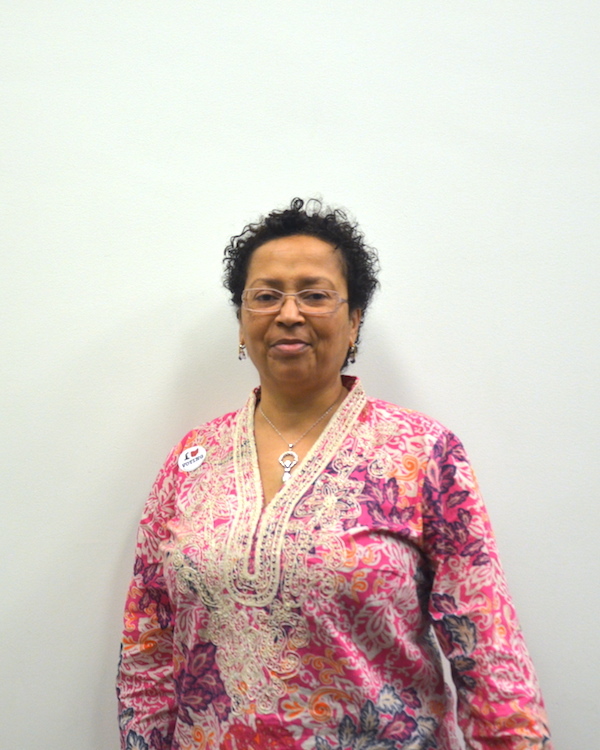 Anju is a certified Community Health Worker, and has over 21 years of experience providing health and human services in the Cleveland Community. She hopes from her work with the Alliance that she can provide families with current and useful information to make informed decisions about school options for their children. Anju was born and raised in East Cleveland. She currently resides with her family on the east side of Cleveland, and serves the Collinwood and Glenville neighborhoods as a School Quality Ambassador. GiGi works for the Alliance because she believes in the importance of the Cleveland Plan for Transforming Schools and the Transformation Alliance’s ability to listen to the voices of teachers, parents, and residents. GiGi previously worked as an Instructional Coach for the Cleveland Metropolitan School District. She graduated from the Neighborhood Leadership Institute (NLI) and has volunteered with Hip Cuyahoga’s Healthy Eating and Active Living campaign. As a lifelong Cleveland resident of Cleveland, GiGi dedicates her time to the residents of Cleveland. GiGi continues her service as an ambassador of the Collinwood area in Cleveland. 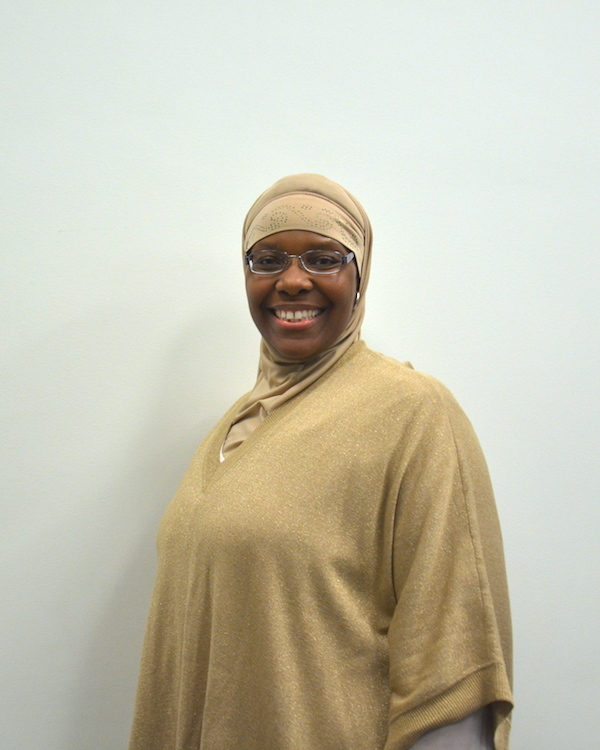 Johnna, who lives on Cleveland’s east side with her husband and four children, joins the School Quality Ambassador team as a graduate of Cleveland Public Schools (Collinwood High School). She has a bachelor’s degree in business administration. Her experience as the parent of two children with special needs has made her a passionate and skilled advocate for all students. The role of School Quality Ambassador is aligned with Johnna’s goal of increasing parent and community engagement with schools. Johnna, believes that all children deserve a great education, and she hopes to bridge the gap between home and school by working to improve communication and understanding. Johnna serves the far east side of Cleveland in her Ambassador role—spanning all the way to Euclid. Larry joined the team because he believes in the importance of educating our children. He hopes to make long-lasting impacts that give children the tools they need thrive. He has been supporting youth and public education for years with the CMSD school board, Cuyahoga County Fatherhood Initiative, Broadway P16, Catholic Charities Head Start, and the Cleveland Transformation Alliance. He is passionate about education and is motivated to dismantle systemic barriers that prevent many Cleveland students from receiving a quality education. He serves the Buckeye and Mt. Pleasant neighborhoods as a School Quality Ambassador. Rosetta’s experience working with community members has been cultivated through her work in Cleveland. She graduated from the 30th class of Neighborhood Leadership Institute (NLI). Rosetta worked with the Hough Development Corporation as a Community Outreach Coordinator and Project Manager. She has chaired the New Beginning Ministries Community Outreach group. She has an extensive amount of volunteer experience. For example, she volunteered for the Susan G. Komen walk and serves as a True2U mentor for 8th grade students. Rosetta also volunteers with her church’s food access programs. Rosetta enjoys working with young people. She believes that they deserve the “same rights to culture” as adults and their circumstances create challenges that can only be met with determination, creativity, and integrity. Rosetta currently lives in the Hough neighborhood, which she serves through her ambassador work. Seanna is a Cleveland native, interested in developing and supporting successful outcomes of public, private and non-profit organizations in Northeast Ohio. Seanna is a Neighborhood Leadership Institute Alumnus (Class 26), with experience in program development, technical support, training, and project management. Seanna lends her strengths to serve as a bridge between programs and their target markets, in the areas of youth, education, technology, arts and culture. Seanna serves Cleveland’s east-side communities. Newly piloted in the Central Neighborhood, the School Quality Navigator Program allows for assistance, support, and guidance through the education process. The assistance from a Navigator allows for families to have support from the time of searching for a quality school, through enrollment, and beyond. Our Navigators are trained professionals ready to support and work with families as they explore educational opportunities. Leave a message for our Navigator team and get help navigating school options by calling 216.592.2419. We are excited to welcome Frank to the team. As a graduate of the University of Toledo, majoring in public health, Frank has extensive experience in the field of public health and community engagement. He is active in his community through his employment with the Cleveland Public Library. At the library, he teaches classes on computer literacy, job searching, resume building, and also after-school programs for the youth. During his time with the Center of Health and Successful Living, he acquired various skills that will be useful in engaging and connecting with the community. Frank supported and led health education fairs, conducted surveys, and presented crucial health information to large groups at community events. In addition to that, he also did one-on-one consultation about health improvement and helped organize fundraisers. He and the Center for Health and Successful Living worked with the community to raise awareness of health issues, striving for a healthier community. His time with the Boys and Girls Club provided him with the skills and experiences that have prepared him to be a strong School Quality Navigator. As the Educational Activity Center instructor, he was responsible for planning and teaching programs about drug prevention, healthy living habits, and the transition from adolescence to adulthood. Frank is motivated to work with the Alliance because he has experienced firsthand how choosing the best school for a child can impact their future. Maxine is a graduate of a Historically Black College, Clark Atlanta University. She received her Bachelor of Arts in Mass Media Communications. She focused her courses in Public Relations and Nonprofit Support humanizing social realities. Maxine has 7 years of prideful working experience and professional accomplishments that include outreach efforts directed towards employment and educational services. Her energy and enthusiasm for activism makes Maxine a standout in the field, and we are thrilled to have her on our team. Maxine is committed to using holistic approaches that encourage growth and helps restore social and educational justice throughout Cleveland neighborhoods. Maxine is also committed to developing, delivering, and improving programs and services with a guiding mission to extend the reach and impact of community resources. Maxine is a strong advocate for improving community resiliency by implementing solutions as essential components of reform. Her everyday cornerstone, passion and appointed social responsibility is to sustain the world as a better place by starting with the betterment of its people. Outside of community activism, holistic well-being is her passion including yoga, meditation, and fitness. Wyndi Moore is an experienced connector and servant leader. She is a senior at Baldwin Wallace University and she will graduate in May 2019 with a BA in Sociology, and a minor in psychology. Additionally as a David & Frances Brain Center Fellow, Wyndi raises awareness about college food insecurity and examines student hunger across the campus. Also, Wyndi is the Vice President of Stone Soup Cle., a non-profit food recovery organization and a member of the Cohort XII of Neighborhood Leadership Development Program. Wyndi is also an AmeriCorps member. Her service project is connected to Health Profession Affinity Community, a non-profit program. Through this program, Wyndi helps Cleveland and Lorain High School students identify health disparities in their neighborhoods. Under the direction of Wyndi, students create projects or build sustainable programs that help address health disparities in their neighborhood. In 2017, at the International Food Waste Summit, Wyndi received the David & Frances Brain Center Leader of the year award, and she was one of 12 Ohio college students to receive the 2018 Charles J. Ping Student Service award. Wyndi has also been a part of the planning team for the Race, Food and Justice Conference since 2013 and is a member of Black Food Justice Collaborative. Wyndi is also featured in the FARE projects Cleveland Food documentary. In all, Wyndi is passionate about creating healthy inclusive communities through healthy food initiatives. In addition to school and her active role in the community, Wyndi is a wife and mother of six wonderful children and has two grandchildren.